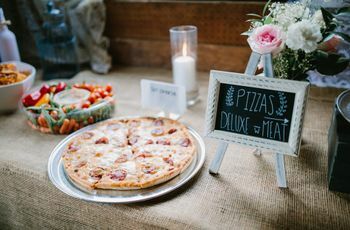 8 Wedding Reception Food Station Ideas | Wedding Ideas ARE YOU A VENDOR? 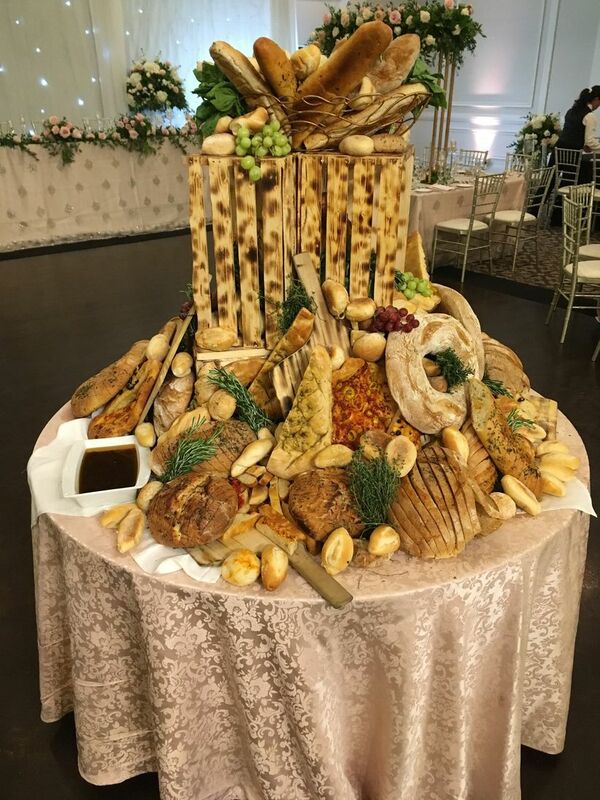 Considering having wedding reception food stations? Here are a few of our favourite DIY savoury eats to serve. 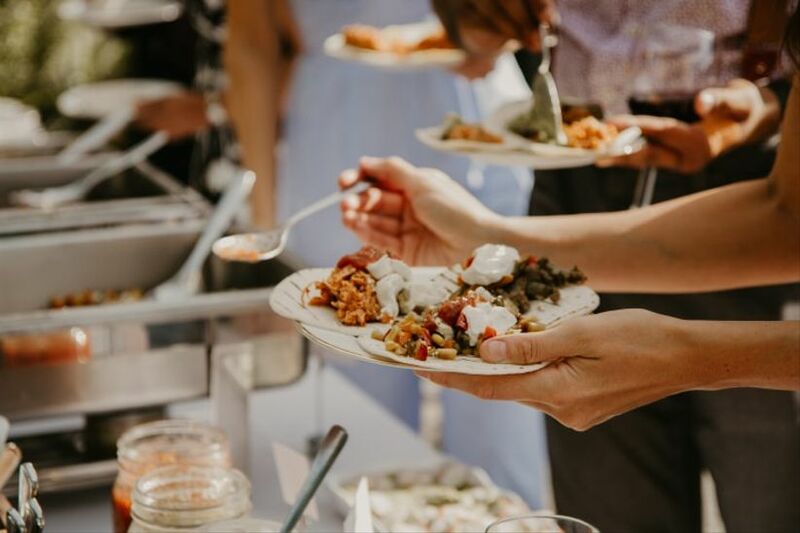 Looking for wedding reception food station ideas? Good call. They are a beloved catering serving style, and for good reason. They allow your guests to craft their perfect dinner plates, instead of sitting through a three-course meal they’d never choose on their own. 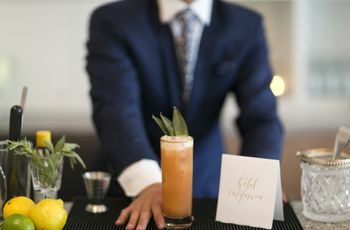 Before you hand the reins over to your caterer, look into what types of food bars suit your big day. 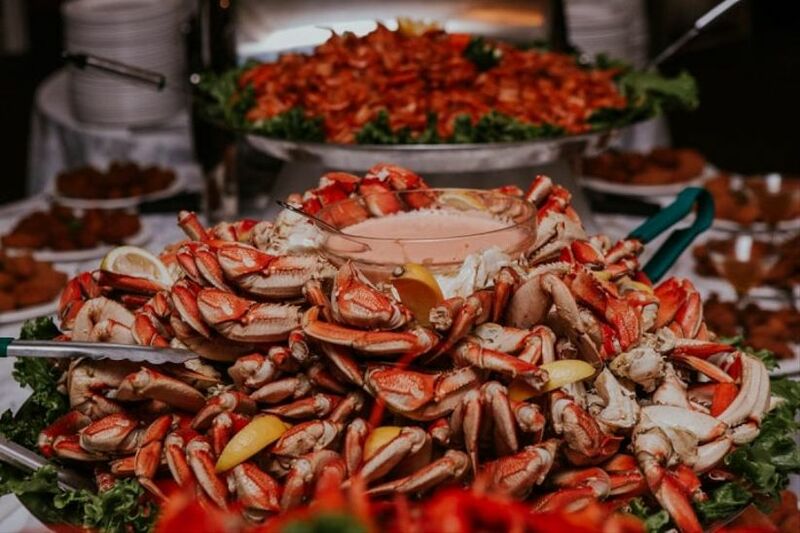 From salad bars to seafood stations, you’ve got plenty to choose from. 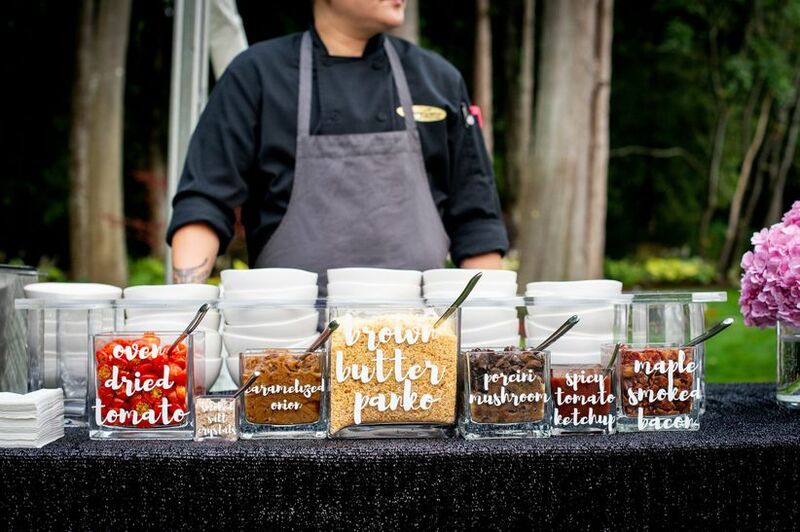 Here are a few savoury wedding reception food station ideas. Who doesn’t love indulging in a few carbs before moving onto the mains? Stock your bread bar with an assortment of rolls, baguettes, loaves and breadsticks along with complimentary dips, vinegars, butters and oils. 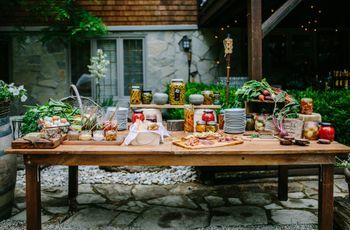 Tip: if you’re doing a brunch wedding or post-wedding brunch, turn your bread bar into a bagel bar and bolster it with add-ons like lox, cream cheese and jellies. If you’re filling your guests plates with hearty eats like pasta and burgers, you’re going to want to have one or two healthy options to balance things out. 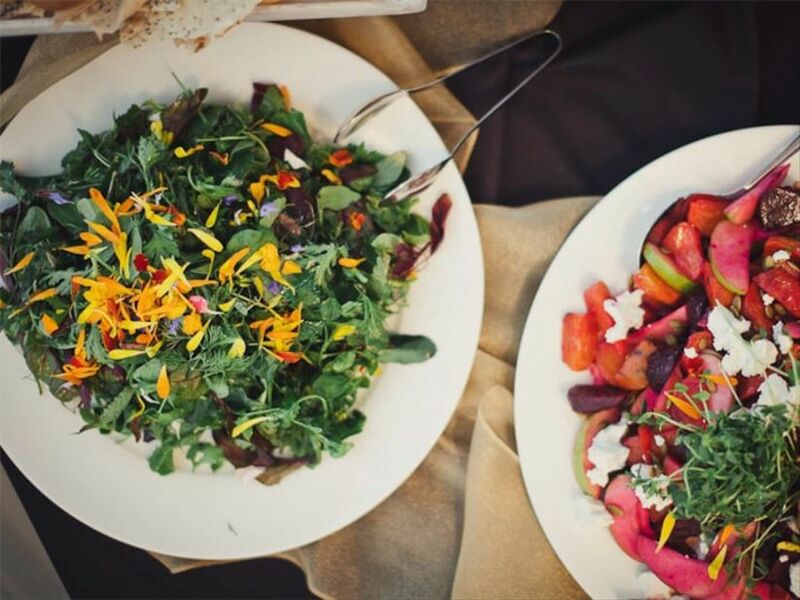 Contrary to popular belief, salad bars don’t have to be boring. We suggest filling yours with superfoods like goji berries, nuts and seeds and spiralized zucchini (along with the requisite greens and dressings, of course). 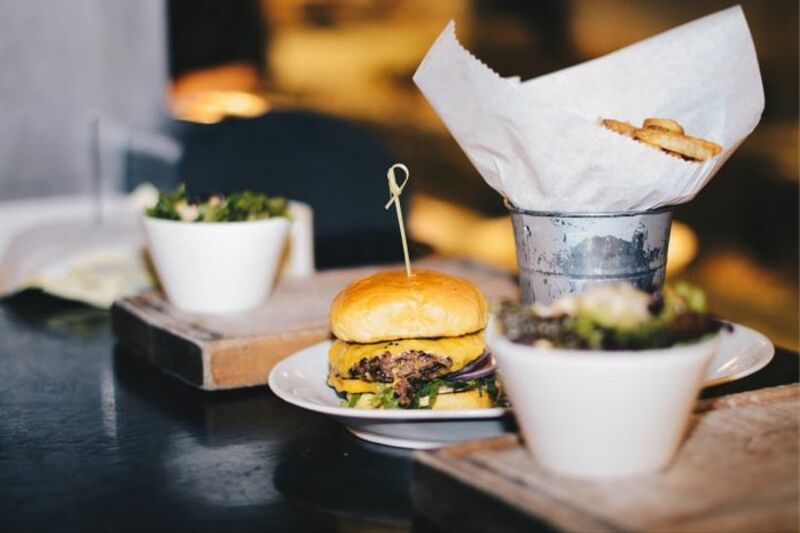 The humble hamburger should not be overlooked when it comes to wedding reception food station ideas. Craft a DIY burger (or slider) bar with classic toppers like ketchup, mustard, pickles, banana peppers and tomato slices. Don’t be afraid to shake things up by adding in a few adventurous options like kimchi, sauerkraut, sprouts, guacamole and pineapple. 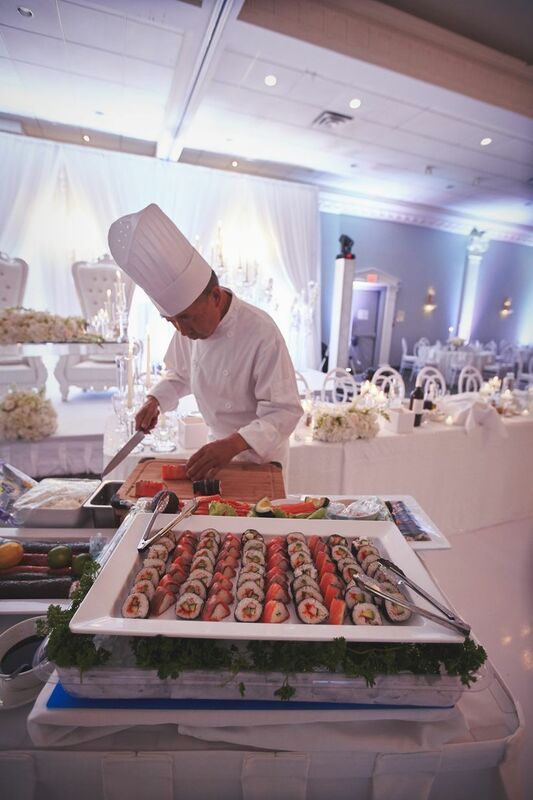 Having a sushi bar at your wedding is akin to gifting your guests AYCE rolls (and, honestly, what better present is there?). Include platters of maki and sashimi plus a few bowls of edamame for good measure. Remember to have a few prepared for your plant-based friends and relatives, too. Yam and avocado, cucumber, pumpkin tempura and garden dragon rolls are all great options. 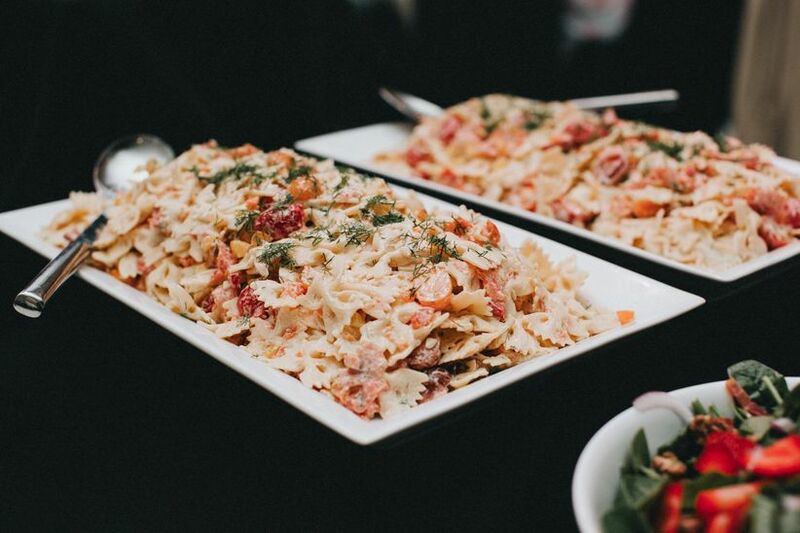 A pasta bar is one of the most popular wedding reception food station ideas. With so many pasta dishes out there it’s hard to settle on one to serve to your guests. So, why not let them craft their perfect plate by offering an assortment of noodles, sauces and toppings? You don’t have to stick strictly to Italian style fare, either - soba noodles and rice noodles are the bases of some killer dishes - and a mac ’n cheese station with different toppings (pictured at top) is a fun alternative, too. 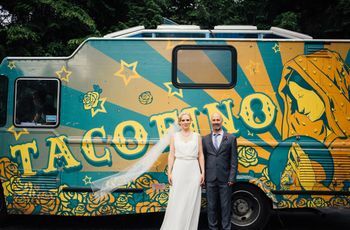 Turn your wedding into a fiesta by erecting a DIY taco bar in your reception hall. Guests will love this trendy wedding reception food station idea. Lay out corn and flour tortillas, pico de gallo, queso fresco, shredded lettuce and all the other necessary fixings. Don’t forget to have an array of hot sauces at the ready for your guests who like their meals on the hotter side. Seafood bars are always crowd pleasers. Stack yours with oysters, mussels, shrimp rings and filets of fish. Pro tip: if your event is indoors, you may want to steer clear of smellier varieties - you don’t want your Jo Malone perfume to be overpowered by the scent of fish. Ok, so at first blush a potato bar sounds pretty weird, but hear me out. Fill a banquet table with different variations of spuds and few toppings - like sour cream, chives, caviar and cheese - and your guests will be singing your praises. 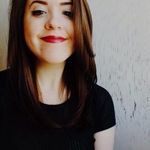 Baked potatoes, french fries, tater tots, scalloped potatoes and pretty much every other variation are welcome.